One of the greatest architects of disco is back with a new studio album Red Lips released on Because on November 25th. On his first studio album for seven years Cerrone is joined by a stellar line up including Nile Rodgers, Hot Chip’s Alexis Taylor and Aloe Blacc for a four to the floor celebration of disco’s halcyon days. The man behind the multi-Grammy award winner and 8 million-seller Supernature continues his legacy with Red Lips, an album that could have sound tracked any night at Studio 54 – the club at which Cerrone was a regular. Irresistibly upbeat across all fourteen tracks Red Lips reflects Cerrone’s innate understanding of what it takes to create a dancefloor smash. On IIlluminate Me Cerrone is joined by long time friend and fellow disco pioneer Nile Rodgers with his distinctive guitar sound. Keisza, the Canadian singer and songwriter who’s worked with Diplo and Skrillex guests on ‘Ain’t No Party (like a Monday Night) and US soul sensation Aloe Blacc appears on ‘C’est Bon’, co-written after the duo met at a benefit concert in Beirut. Hot Chip’s Alexis Taylor’s plaintive vocal is underpinned by a heavy synth bass on Steal Your Love. “This album means a lot to me” says Cerrone. “For the past eight years, I played a lot of live music (because of my tour) but didn’t record any original album. It is really special to me because just as I did in my early career with ‘Love in C minor’, ‘Supernature’ or ‘Golden Touch’, it has been entirely recorded in live conditions. 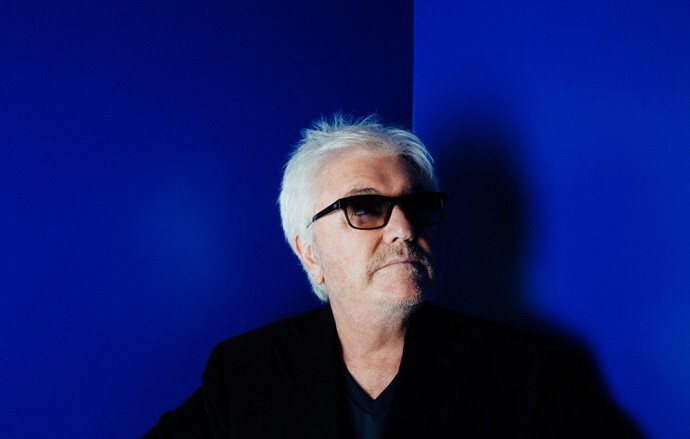 In a career spanning over four decades Cerrone has worked with many prominent musicians including Nile Rodgers, Toto and Jocelyn Brown and been sampled by The Beastie Boys and Run DMC. He continues to DJ around the work, last year taking to the decks at Genosys at Glastonbury’s favourite late night spot Block 9.